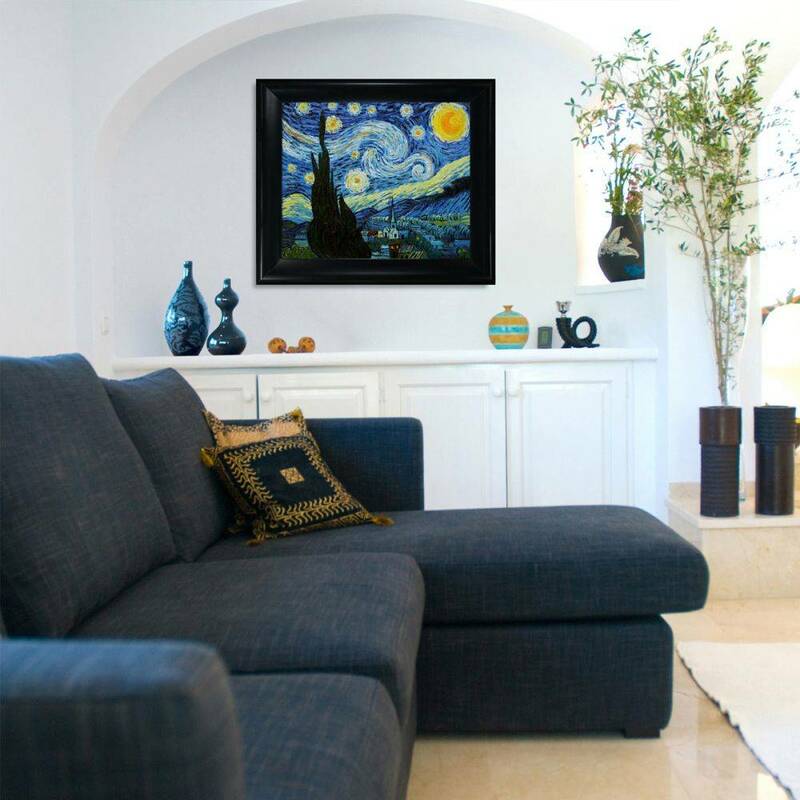 Hand painted oil reproduction of Starry Night, one of the most famous paintings by Vincent Van Gogh. 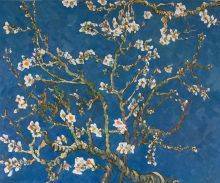 This gorgeous 1889 masterpiece has been carefully recreated, detail-by-detail, to near perfection. 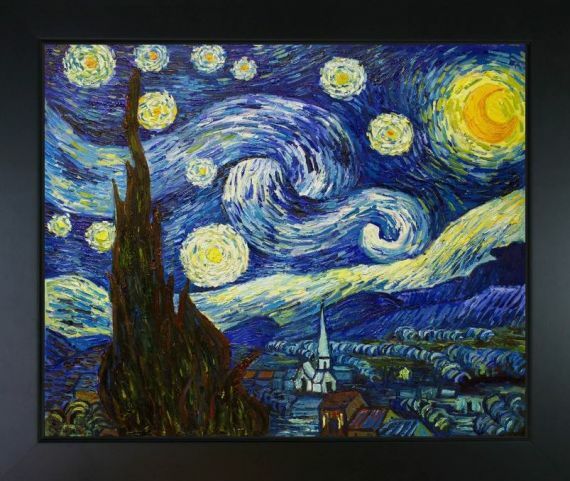 One of today's most recognized paintings, Starry Night invokes deep emotions, from the serenity of the church steeple to the wild abandon use of vibrant colors in his late night sky. 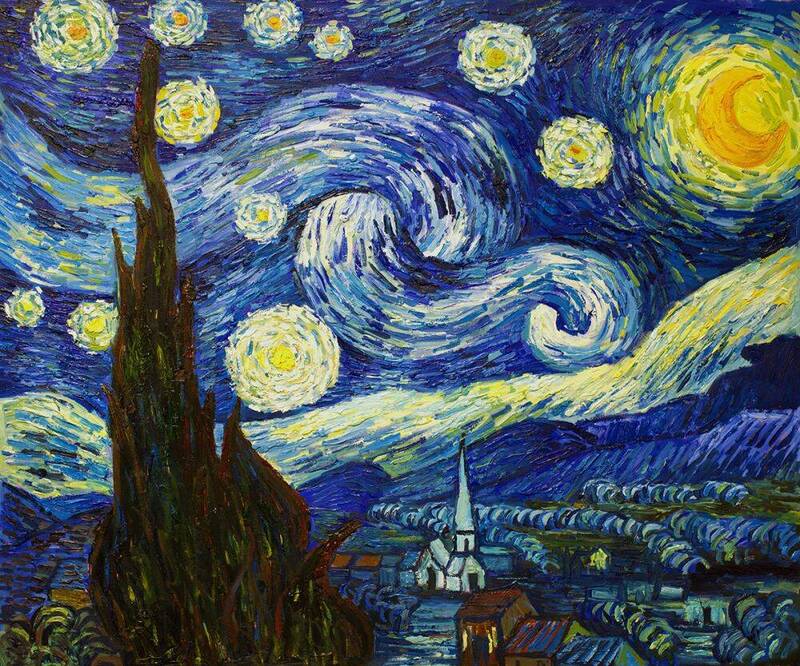 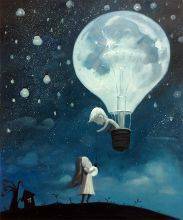 Imagine the movement of the painter as he twists and turns his brush to create the dance between the stars and the clouds above the calm, peaceful village. 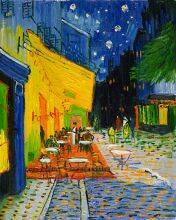 Known as a prolific Post-Impressionist, Van Gogh produced many paintings that were heavily biographical. 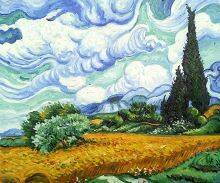 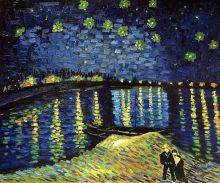 Vincent Van Gogh's restless spirit and depressive mental state inspired his artistic work. 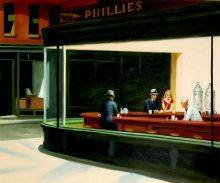 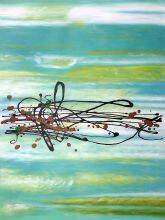 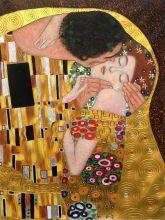 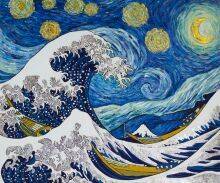 This work of art awakens the same emotions and beauty as the original piece. 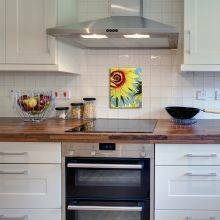 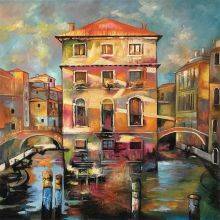 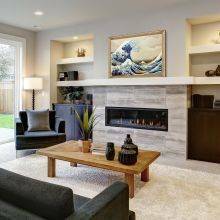 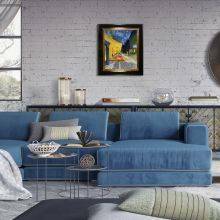 Why settle for a print when you can add sophistication to your room with a beautiful fine gallery reproduction oil painting? 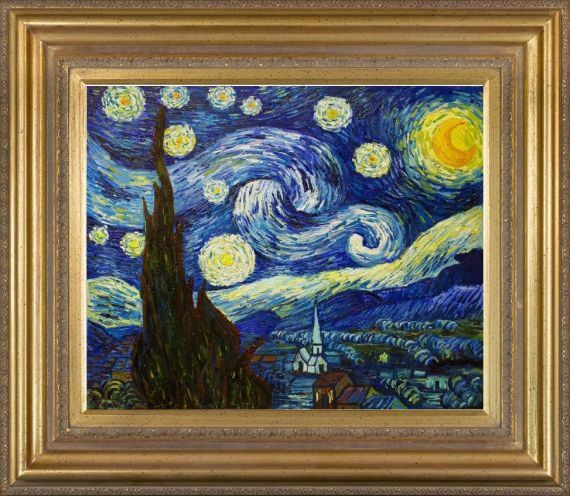 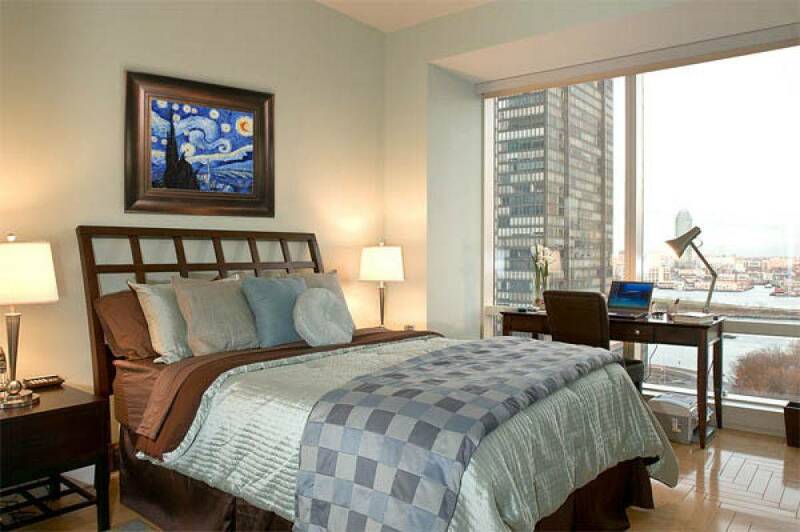 Vincent Van Gogh's Starry Night can be yours with our hand-painted reproduction from overstockArt. 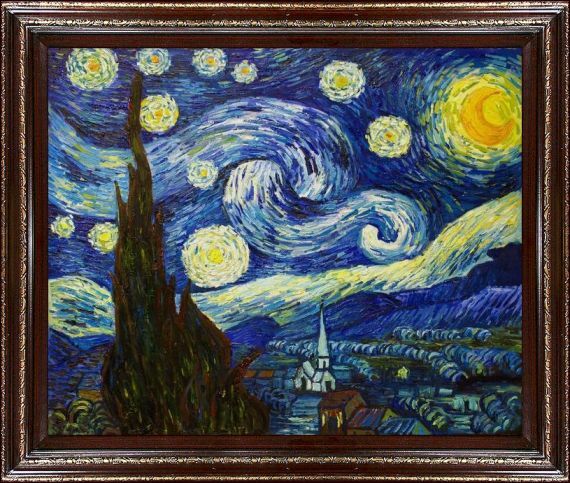 This Starry Night oil on canvas reproduction beautifully captures the swirls of colors and texture of the moon, and stars rising over a small village that was painted from a window of Saint-Paul asylum in Saint-Rémy, southern France, by the famous Dutch artist. 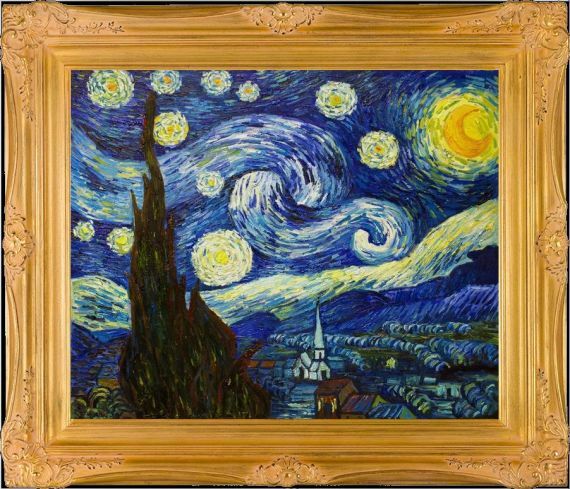 Starry Night is considered a favorite of art historians and fans of Van Gogh. 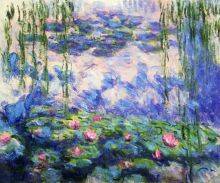 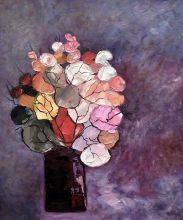 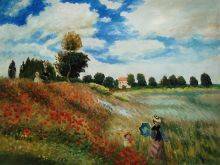 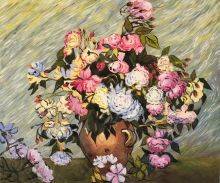 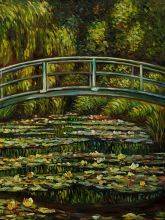 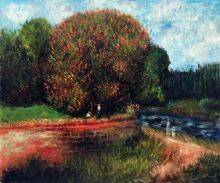 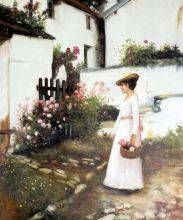 It is one of more than 2,000 oil paintings, sketches and watercolors he produced in a career that lasted only a decade. 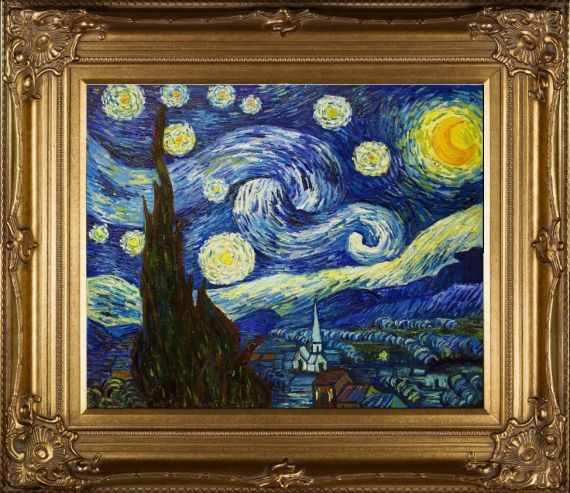 From his letters, we know that his interest in nighttime landscapes was because the night was "much more alive and richly colored than the day."